Robert-Victor-Félix Delaunay was born in Paris on April 12, 1885. In 1902, after secondary education, he apprenticed in a studio for theater sets in Belleville. In 1903 he started painting and by 1904 was exhibiting, that year and in 1906 at the Salon d'Automne and from 1904 until World War I at the Salon des Indépendants. Between 1905 and 1907 Delaunay became friendly with Henri Rousseau and Jean Metzinger and studied the color theories of M E Chevreul; he was then painting in Neo-Impressionist manner. Paul Cézanne's work also influenced Delaunay around this time. From 1907-08 he served in the military in Laon and upon returning to Paris he had contact with the Cubists. The period 1909-10 saw the emergence of Delaunay's personal style: he painted his first Eiffel Tower in 1909. In 1910 Delaunay married the painter Sonia Terk, who became his collaborator on many projects. Delaunay's participation in exhibitions in Germany and association with advanced artists working there began in 1911, the year Vasily Kandinsky invited him to participate in the first Blaue Reiter (Blue Rider) exhibition in Munich. At this time he became friendly with Guillaume Apollinaire, Albert Gleizes, and Henri Le Fauconnier. In 1912 Delaunay's first solo show took place at the Galerie Barbazanges, Paris, and he began his Windows pictures. Inspired by the lyricism of color of the Windows, Apollinaire invented the term "Orphism" or "Orphic Cubism" to describe Delaunay's work. In 1913 Delaunay painted his Circular Form or Disc pictures. From 1914 to 1920 Delaunay lived in Spain and Portugal and became friends with Sergei Diaghilev, Leonide Massine, Diego Rivera, and Igor Stravinsky. He designed the decor for the Ballets Russes in 1918. By 1920 he had returned to Paris, where, in 1922, a major exhibition of his work was held at Galerie Paul Guillaume and he began his second Eiffel Tower series. In 1924 he undertook his Runner paintings and in 1925 executed frescoes for the Palais de l'Ambassade de France at the Exposition internationale des arts décoratifs in Paris. In 1937 he completed murals for the Palais des Chemins de Fer and Palais de l'Air at the Paris World's Fair. His last works were decorations for the sculpture hall of the Salon des Tuileries in 1938. In 1939 he helped organize the exhibition Réalités nouvelles. 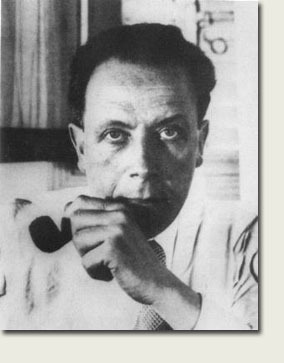 Delaunay died in Montpellier on October 25, 1941.